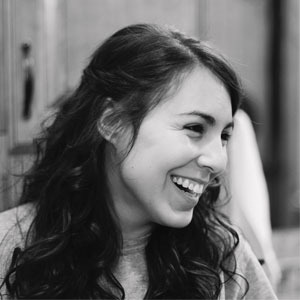 Jessie Rodriguez is the Communications Manager of Project Helping headquartered in Denver, CO. Follow them on Facebook, Twitter, Instagram, LinkedIn and YouTube and learn more at projecthelping.org. Founded in 2014, Project Helping has organized more than 800 volunteer events to improve mental wellness through volunteering. Every volunteer experience is specifically designed to make an impact — both on the volunteer and the community. Project Helping provides meaningful, social, and easy-to-join volunteer experiences. Our mission is improving mental wellness through “Kyndfulness.” Our vision is that everyone has an opportunity to improve their mental wellness every day. Simply, by joining a group of volunteers for a common cause, individuals can connect to create social change and experience the benefits of increased mental wellness. Project Helping is directly impacting the stigma surrounding mental health while also offering a unique opportunity for everyone to work on their mental wellness on a daily basis. Our impact: 7,757 volunteers, 21,418 total hours given, 522,836 people impacted. Our founder, Justin Kruger, was inspired to share what he learned about the impact volunteering had on his own mental health through his personal experience. This is where Project Helping began. We built this simple yet impactful organization to leverage the mental wellness benefits of volunteering. Our goal was to make it incredibly simple to get involved in projects that are hand-selected to be the most impactful, hands-on project possible. Project Helping’s big dream is that everyone has easy access to the resources they need to work on their mental wellness every day. We hope to be one of those resources and encourage individuals to be more involved in their communities while reducing the stigma surrounding mental health. More referral partners in the mental health communities using us as a resource for their groups and clients. Funding to reach more communities across the nation. More Kynd Leaders, individuals that want to become more involved as volunteers and lead a volunteer event once a month. Finally, exposure! We want to be a mental wellness resource as well as the simplest way volunteers can sign up for events in their area for a cause they are passionate about. Reaching those that have/or are struggling with their mental wellness. Currently, we have a fantastic community of volunteers who love to give back to their communities and experience the benefit Kyndfulness has. However, we would love to connect with more individuals struggling with anxiety, or depression, or PTSD, or postpartum depression, or any mental health struggle. Another challenge we have is making what we do tangible as it’s a unique idea that’s never been expanded on before. This often brings reservation with grants or funding. Get involved! Volunteer and experience the impact volunteering has on your own mental wellness. Then share a testimonial (email volunteer@projecthelping.org). Become a Kynd Leader and volunteer to lead an event once a month. Join our board (email info@projecthelping.org). Give to the cause either through direct donation or joining our upcoming annual fundraising event.